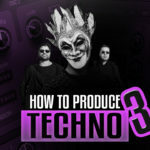 Welcome to the first of many SCIM tutorials on electronic music production. Presented by SCIM Cape Town resident experts Willie Els and Ryan Murgatroyd, we will focus on genre-specific tips and techniques for all the latest electronic styles. To kick things off let’s look at the techniques behind the latest craze in electronic music – DUBSTEP. Its wobbly, it’s ugly, and there are some very specific techniques used to make it. You will need Cubase 5 (Trial version available with this issue of IDM,) or any other sequencer that supports VST or AU plugins and RGC Audio’s Z3ta instrument plug-in. Dubstep is usually programmed at ‘half-time’, meaning the song’s tempo is twice as high as it appears to be. The trick to achieving this, is to move the snare drum forward to the 3rd beat (Conventionally, the snare drum sits on beats 2 and 4). Set the project tempo (IDM) to 140.00IDM. In fig 1, you can see that we used a Kick (Orange), Snare (Green) and 2 Hats (Yellow & Blue). The beat is programmed over 2 BARS with the Kick on Beat 1, 1.4.3, 2, 2.2, 2.3.3, 2.4.3. The Snare on Beat 3. The hats are placed on every 16th note, and the volume/velocity of every second hi hat is reduced to introduce dynamic variation. There’s a 2nd Hi-hat on beat 1 and 3, repeated over 2 bars. Notice that we repeated Hi-hat 2 and reversed it at the end to create a fill. Load an instance of RGC Audio’s Z3ta in an instrument track. Go to ‘PROGRAM’ and select ‘Initialize’ from the dropdown menu. This resets the parameters so we can design a fresh synth patch. Once the Z3ta is initialized, go to the Oscillator section and on ‘OSC 1’>WAVE, select SINE. 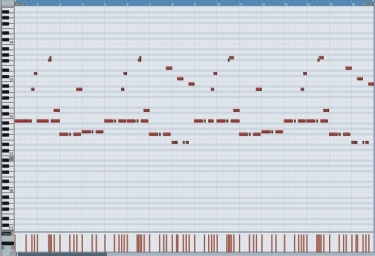 This produces the sub/low-end register of our bassline. The sequence I’m using can be seen in the final figure in the tutorial. Load the following waveforms into Osc 2, 3 and 4. 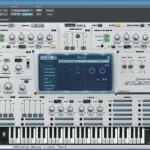 Osc 2 – Vintage Saw 1 (Octave 0). Osc 3 – Noisy Saw (Octave 0). Osc 4 – Disto 1 (Octave o). Once loaded, you can hear we’re moving towards a fuller, screaming sound. There are small modifications I have made to mine. In the oscillator section, each osc has its own ‘shaper’ (which you can find on the right-hand side of the Osc menu.) With the shaper, you customize the waveform within the oscillator. The OSC 1 SINE was left untouched, but the Vintage, Noise and Disto Saw’s were modified; play with the ‘Warp, Twist and Drive’ settings in the SHAPER. This is great to make the sound your own. You can download my patch called ‘Special Kids’ at www.avti.co.za. We now have our sound shaped, ready for a Wobble. Move to the LFO section to the right-top side of Z3ta. 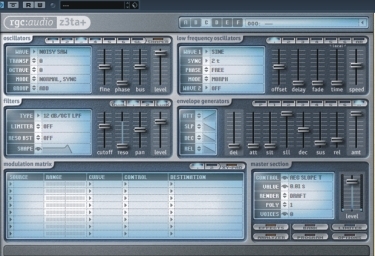 Make sure ‘LFO 1’ is highlighted and select WAVE 1 and from the drop-down menu, choose SINE. From the SYNC drop-down, select ‘2 t’. This is a triplet movement, great for Dubstep. Although the SYNC rate will be varying over time, this is our starting point. The next step is to add a dual Filter. Head over to the ‘filters’ section and add a 12db/OCT LPF (Low Pass Filter) on both filter 1 and 2 type sections. Select ‘DUAL’ and ‘LINK’. Feel free to move the ‘cutoff’ slider up and down to hear the filters in action. For now, keep the ‘cutoff’ slider open. The purpose of LFO’s is to make the filter cutoff open and close rapidly – giving the classic wobble effect. Head to the ‘Modulation Matrix’ section in the bottom-left. Click on ModMatrix ‘Source 1’s’ arrow, from the dropdown-menu; select LFO 1. Move range to full. From the ‘Destination’ drop-down, select ‘Filters> All Filters Cutoff’. Z3ta is now applying LFO modulation from LFO 1 to All Filters. The last setting would be to head to your ‘filters’ section and set the ‘cutoff’ slider to half. The wobble is audible at this point, but we still need to get the speed varying over time. 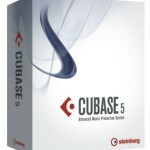 Back to Cubase project window, we’re going to add automation. The parameter automated will be the ‘SYNC’ setting of LFO 1. Click on the Instrument automation drop-down button. The default parameter that Cubase assumes are ‘Volume’. Click on the ‘Volume’ tab’, and from the drop-down menu; select ‘More…’. The ‘Add Parameter’ menu will pop up. Select Z3ta’s menu. Search for ‘Lfo1 Sync’ and double-click to select. On the automation track, select ‘R’ button. Once selected, it’ll be green in colour. 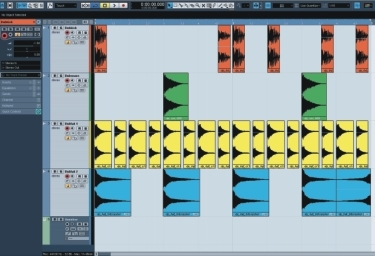 This allows us to draw in ‘movement’ and allows Cubase to play back the ‘movement’. Draw your own custom movement over 2 bars. Be creative! 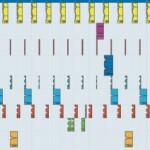 This will shift our LFO Sync Rate over time to different musical times. At this stage we need to define some minor adjustments to our synth to correspond correctly to the LFO Sync movement. Head over to the ‘Envelope Generators’ section. Make sure ‘A’ for ‘Amplification’ is lit. Take the ‘dec (decay) and ‘sus (sustain)’ sliders all the way up – this will prevent energy loss. Another creative flare could be to play with the ‘att (attack)’ setting. This will give the impression that the sound is delayed as it plays back. And voila! A perfectly wobble sound using RGC Audio’s Z3ta. Feel free to play with effects like Chorus, Distortion and creative EQ to make the sound your own. 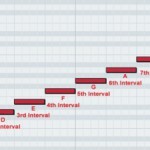 Fig 3 shows my MIDI programming which is also downloadable @ www.avti.co.za Happy wobbling!